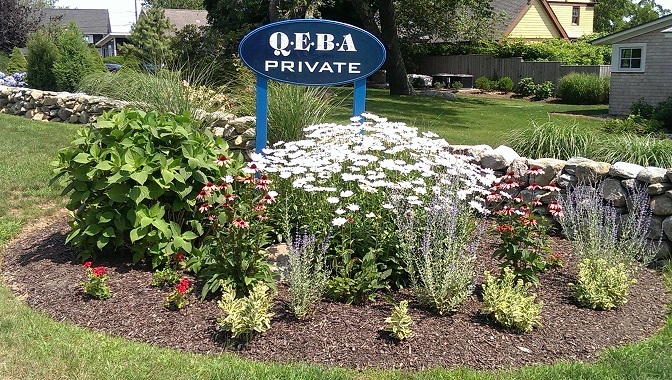 QEBA was established as a private association in 1956. Generations of families have grown up in this special beach community in Charlestown, RI. With private access to a half-mile of pristine sandy beach, sandwiched between two salt-water ponds, a Tennis Club, Yacht Club, Garden Club and many family activities, we are very fortunate to belong to an association maintained by active volunteers within our community. Our website allows visitors and renters to view some essential information regarding our association and this beautiful video by Bob Petrone of the area. Members have secured access to further information about QEBA. QEBA's website requires you to login using the e-mail address you have provided us. Your initial password is the same as the previous website (not shown) but we ask that you change it by clicking the change password link under your name (top right). If you do not remember your password click the forgot password link and follow the directions. New members will be contacted individually and given logon info. You can email Bruce Brigham for questions regarding our website. All questions pertaining to this association or membership should be directed to Bruce Brigham (President), Carollynne Weidler, (Treasurer) or Bob Santy (Vice President).